Mamma recounts the loss of her toddler all those years back. And she swears she knows where the little girl wound up! If you’d only believe her. Ciarán has an MFA in Writing for Stage and Broadcast Media from the Royal Central School of Speech and Drama. While studying in the UK, he had work premiered in London, Oxford, and Edinburgh, garnering four- and five-star reviews. He now lives in Kitchener where his play, Touch, just received its Canadian premiere with GreenLight Arts. Ciarán is an alumnus of the Stratford Festival’s Playwrights Retreat, the Tron Theatre’s 100 Club, and the Traverse Theatre’s Director’s Program. He is also a multi-published poet, a champion Irish dancer, and father to a mighty toddler. This is his first time premiering new work in Toronto. 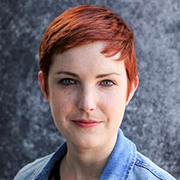 Kendra Jones is a Winnipeg-born, Toronto-based director, writer, dramaturg, and instructor. Directing credits include 4.48 Psychosis (Toronto Fringe & Winnipeg Fringe 2017), Sea Wall (Theatre By the River), Tonight at Eight (selardi & impel Theatre), Clever Little Lies (Assistant Director – RMTC), Am I Not King? (Assistant Director – Zone 41 Theatre), and Shorts! (Sarasvati FemFest). Her installation projects have been shown at University of Toronto, RADA, Gas Station Arts Centre, and as an official selection for Nuit Blanche Winnipeg. She also writes and adapts for the stage, and academically. Find her online at www.kendrajones.net. 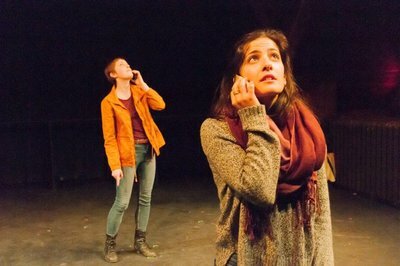 the Woods (Theatre Sheridan), Fair Verona (Lost&Gone), SM – 4.48 Psychosis (Toronto/Winnipeg Fringe), SM – The Play About the Baby (Seven Siblings Theatre). 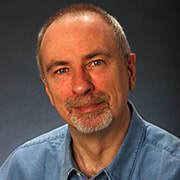 Other credits include lighting board operator – The Cradle Will Rock (Theatre Sheridan), follow spot operator – Footloose (Theatre Sheridan), deck audio – How to Succeed… (Theatre Sheridan). 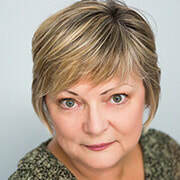 Lisa trained in theatre performance at both Dawson CEGEP and Concordia University in Montreal (BFA, Specialization Theatre Performance). 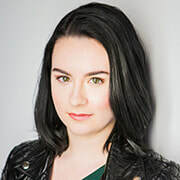 She toured with Repercussion Theatre’s Shakespeare in the Park, performing in Cymbeline, Romeo and Juliet, The Comedy of Errors, and Macbeth, as well bringing A Midsummer Night’s Dream to schools. She worked onstage, backstage, and served on the board of the Montreal Fringe Festival. She’s done everything from Hamlet and Rosencrantz and Guildenstern Are Dead in repertoire, Top Girls, and played the Madame of a burlesque house in a theatre that was once a bowling alley. Then, she moved to Toronto…Seventeen years passed before she returned to theatre, starting off with two readings at the Alumnae, followed by The Ashes of Forgotten Rain with the Nomad Acting Group in the Annex. She’s over the moon, tickled to bits, and honoured to bring Sweet Mama and the Salty Muffins to life. What would you risk to make your own dream come true? Set in 1930, daredevil Jean Lussier attempts to persuade George, a cook/writer, to plunge over Horseshoe Falls in a barrel to earn enough money to self-publish his rejected manuscript. Donna's latest poetry collection, The Laundress of Time, was published by Aeolus House in 2015. Her next book is forthcoming from Piquant Press. 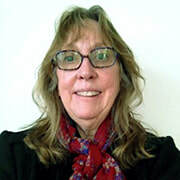 Donna’s play productions include The Man with a Butterfly Hat (New Ideas Festival, 2012) and Welcome to Nuit Blanche (Ryerson 50+ Festival, 2014). 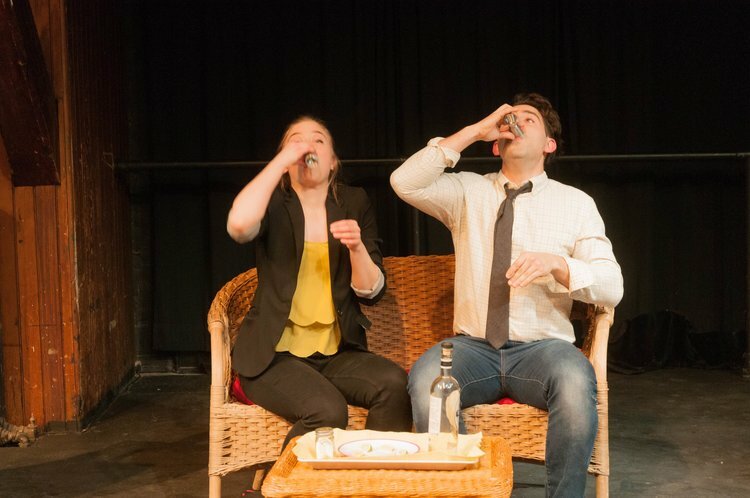 The Dinner, published by Morel magazine, won first prize in the play script contest at the Eden Mills Writers’ Festival 2014, as did Bargains in the New World in 2015. Heartfelt thanks to the NIF Committee, Next Stage, and Act 2, her mentors Cate Frid, Neil Naft, Dr. Tom Hamilton, and the many others who helped bring my play to life. 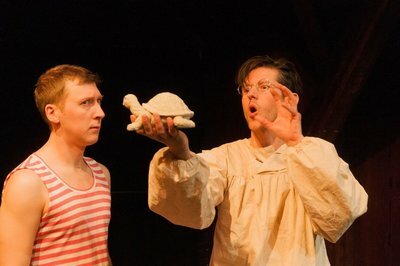 Carl’s introduction to the stage took place at the tender age of three, when he played the acclaimed role of Boy Who Gets His Lollipop Stolen at the theatre that his mother managed. At fifteen, he made his directorial debut with a high school production of Terry Pratchett’s Mort; since then, he has directed and acted in many shows in both the UK and Canada, including directing critically acclaimed versions of Who’s Afraid of Virginia Woolf? and Proof. He has also directed and performed at the InspiraTO festival, and is excited to be directing for the New Ideas Festival. When not focusing on thespianism, Carl writes pop music, tutors math and physics, teaches data science, and generally tries to fit too many things on his calendar. Masha is an undergraduate business student at York University. This is her first time stage managing and she hopes you enjoy the festival! James graduated in 2003 from the Piano Performance Program at the Glenn Gould School of Music. 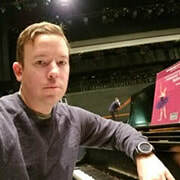 Employed as an accompanist with the National Ballet School of Canada and the Children’s Dance Theatre, he teaches piano at the University Settlement House Music School. 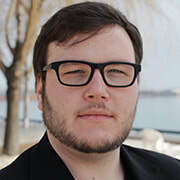 An avid composer, he contributed original music for The Man with a Butterfly Hat (NIF 2011), Violin For Sale (Big Ideas Festival), and Welcome to Nuit Blanche (Ryerson Act 2 Studio, 2014). 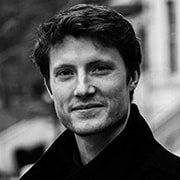 In 2015, he composed the electronic score for I Am Marguerite (Alumnae Theatre) and contributed to Motherland, produced at Fireworks 2016 and at the Toronto Fringe Festival 2017. 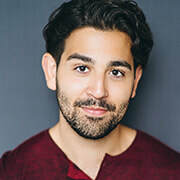 Nicholas is a classically trained actor, having received an MA in Classical Acting for the Professional Theatre from LAMDA and a BFA in Theatre Performance from Concordia University in Montreal. He also trained in the martial-dance performance style of traditional Beijing Opera at the National Academy of Chinese Theatre Arts (NACTA) in Beijing, and in Western styles of stage combat – he is certified as an Advanced Actor-Combatant through Fight Directors Canada. He has been working professionally in the theatre since 2008. Andreas most recently played the role of Nikos Pappas at the acclaimed Ten Tone Productions’ original play My name is Eva in December 2017. In November, he portrayed the Greek author and philosopher Nikos Kazantzakis, nominated for the Nobel Prize in Literature in nine different years, at a formal event organized in Toronto on the 60th anniversary of the author’s death. Andreas re-enacted Kazantzakis’s 1956 speech that he gave in Vienna when he was awarded the International Peace Award. 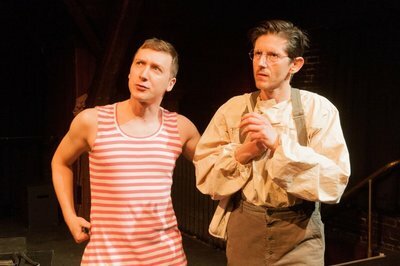 Somehow, living in Toronto has resulted in the rebirth of Andreas’s passion for theater, which has been a part of his life since he was a child. At the age of 14 – while living in Greece – he wrote, acted in, and directed a play in English. When not focusing on the arts, Andreas is dealing with real estate and business development, helping people and businesses from around the world to achieve success and growth. Two lovers who have never met are brought closer together by the universe that surrounds them both. D.J. has been active in theatre for over twenty-five years as an actor, director, technician, playwright, and producer. 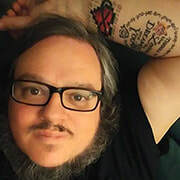 He was a founding member, and continues as playwright-in-residence, for Monkeyman Productions – Toronto’s Geekiest Theatre Company. His work with Alumnae includes participation in four previous NIF showcases, as well as the full production of his play Inked Heart in 2016’s Fireworks Festival. 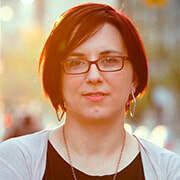 Gillian is a Toronto-based theatre practitioner and academic. She currently works as the administrative and outreach coordinator for Shakespeare in Action. Gillian recently completed her MA at the University of Toronto focusing on gender-bent Shakespearean performance. Along with her academic pursuits, Gillian is also an aspiring director. Selected credits include assistant director on This Will Be Our Last Transmission (Alumnae Theatre), director on The Doorknocker (Drama Studio Series), AD on Much Ado About Nothing (Hart House Theatre), AD on The Seer and No Bombs on Monday (Commonplace Theatre), and associate director on Shakespeare Bash’d’s staged reading of Volpone. Sydney is a Toronto-based performer, director, stage manager, and designer. She is a graduate of the Randolph College for the Performing Arts. 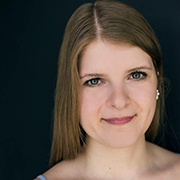 Recent production credits include Letters to Annabelle (AD) and Hexen (stage manager), both featured in the Toronto Fringe 2017, Stage Door (AD, Randolph College), and A Midsummer Night’s Dream (AD, Non-Existent Theatre). 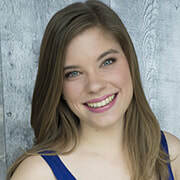 Performance credits include The Drowsy Chaperone (VCDS), 38th Annual Dora Awards (Elgin Theatre/TAPA), Anything Goes (Wavestage Theatre Co), Carrie: The Musical (Hart House Theatre), and Suitcases (Artscape Sandbox). Upcoming: Costume/prop design for Peer Gynt (Richard Rose/Randolph College). Sydney is very excited to be a part of the New Ideas Festival this year, working with such a talented cast and crew. Katherine is so excited to be joining the NIF with Stars. 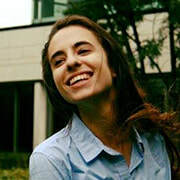 Based in Toronto, she recently graduated from the Ryerson School of Performance (RSP) and has since been spending her time travelling, singing, writing, acting, and trying to save money. Her theatre credits include Snow White and the Seven Dwarfs (Globus Theatre), Willy (Taipei American School), Treasure Island (RSP), The Possibilities (RSP), The Holiday Trilogy (RSP), Hamlet (RSP), Emotional Creature (Nightwood/YPT), and Admissions (Teenage Graceland). Special thanks to all at Alumnae Theatre and cast/crew of Stars for putting together this kind story of limitless, boundless love. Alexa is a Toronto-based actor who has studied and performed across Ontario, Quebec, New Brunswick, and England. She holds an MA in Drama from the University of Toronto and is a founding member of Loose Cannons Collective (ON) and Hot Garbage Players (NB/ON). 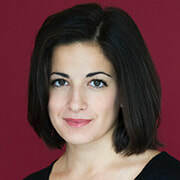 Recent acting credits include Matilda in Just Enough (NSPF), Marina in Pericles (Bard in the Barracks), Allison in Back to Zero (NFTC), Carrie Lynn in Angel’s River (Notable Acts Mainstage), The Christmas Tree (Live Bait), and A Record of Us (Solo Chicken Productions). Alexa is thrilled to be part of the New Ideas Festival! Shelley has found an investor to turn Kyle’s visionary software proposal into reality. Is her interest purely professional? Did the prospective investor swindle Kyle’s home town out of its pension fund? And what is Kyle hiding in his bedroom? Elmar became involved in theatre in the north of England, working as a volunteer on a summer arts program for children in deprived urban areas. He subsequently joined a company delivering performances and collaborative events in playgrounds, classrooms, seniors’ homes, psychiatric hospitals, and out on the streets. 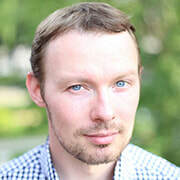 Elmar currently lives in Toronto, where he works as a software developer. 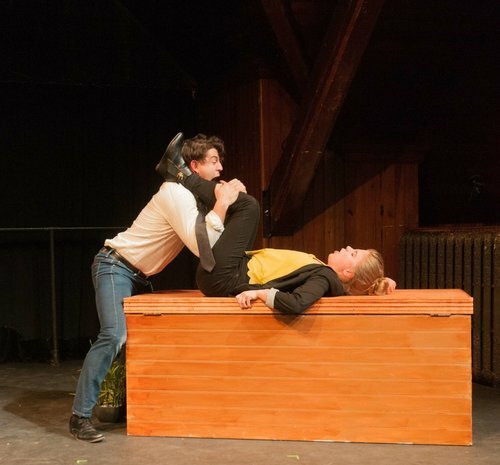 His full length play Forever was selected for the 2011 HotInk at the Lark festival in New York City. 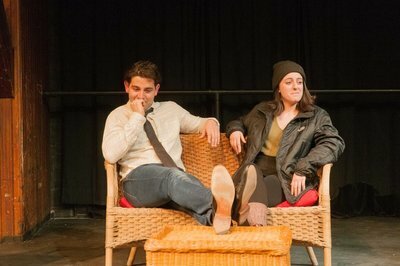 His short play The Syndrome Thing was selected for the 2017 Newmarket National Ten-Minute Play Festival. Helly studied in New York City at HB Studios and the Sonia Moore Studio Theatre. She is an actor, educator, director, and dramaturg. Selected acting credits: Butley (The Courtyard Playhouse), The Channeller (Samuel Beckett Theatre), Orient Beach (American Playhouse), Servant of Two Masters (Columbus Centre Theatre), Blithe Spirit and Quartet (Village Playhouse), Escape from Happiness, I Am Marguerite, and Radical (Alumnae), Kitchen Witches (Bruce County Playhouse), The Mousetrap (Lower Ossington Theatre), Hazel (Red Sandcastle); various roles in Newmarket National Ten Minute Play Festival. 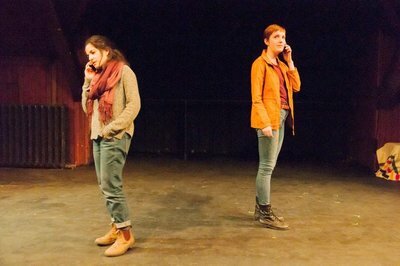 Recent directing credits: Murder in the Cottonwoods (Toronto Fringe), The Creepy Cabin Project (Alumnae Write Now). Keeghan has been behind the curtain in Toronto independent theatre for 8 years of his life, everywhere from church basements to the Fringe. As an ASM, he did whatever needed to be done on the musicals, operas, single person shows, or large-cast charity blowouts to gain the experience needed to move up to the booth. This will be his fourth show at the Alumnae Theatre, and he is pleased to be back for his second New Ideas Festival. Born and raised in Toronto, Mike has a passion for acting, music, writing, and design. 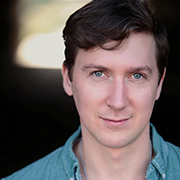 After graduating from George Brown Theatre School, he wrote and starred in his first original play, Happy Birthday Benjamin Holloway, at the 2017 Toronto Fringe Festival and is currently working on another original work. GBTS Credits: Victor Chandebise/Poche (A Flea in Her Ear), Satan (Last Days of Judas Iscariot). 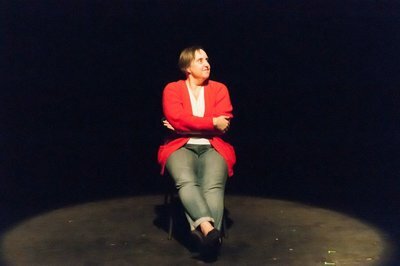 Other: Creature (Circles: a post-punk jazz dark-pop theatre jam based on Dante’s Inferno), Melker (Pippi: The Strongest Girl in the World), Cameron (Happy Birthday Benjamin Holloway – Toronto Fringe 2017) Pete Spark/Tyler (Water Wonders –Toronto Fringe 2016), Ariel (The Pillowman). Lena is a Toronto actor, educator, and theatre creator. Recently, she played Wendy in Bad Hats Theatre’s Peter Pan at Soulpepper Theatre (3 Dora Awards.) 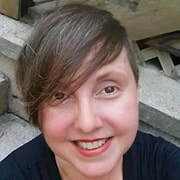 Other theatre credits include Co-Writer/Flicka (Pippi: The Strongest Girl in the World, Fourth Gorgon); Mrs. Do (Scott & Will, Solar Stage); Mary Snow (Salt Water Moon, Quarter Century Theatre); Miranda (The Tempest, Ravenous Theatre); Performer/Collaborator (Molly Bloom, Fourth Gorgon). Lena has taught drama in schools, camps, and after-school programs all over the city. Currently, she is a director/choreographer at The Drama Playground and a Musical Theatre instructor at Bravo Academy for the Performing Arts. Rachelle is grateful to be performing in NIF as she adores participating and contributing to original works. 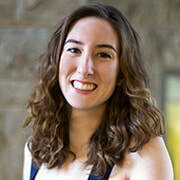 Indulging in the performing arts her whole life, Rachelle acquired a BA in Dramatic Arts from the University of Windsor, where she co-founded a playback theatre troupe called Playback and Jams. She then moved to receive her Diploma in Acting from TFS. 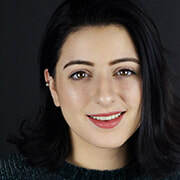 Rachelle has little experience on the stages/screens of Toronto, but she loves to write and hopes to collaborate with others on her own original work in the upcoming year. Her special thanks always goes out to the universe, with love.